Sebastien Loeb Racing driver Chilton passed teammate Mehdi Bennani with a little over two laps of the race to go and eased home from there to a winning margin of 2.175 seconds. Morrocan Bennani had cleared off into an early lead in his Citroen after passing polesitter Kevin Gleason around the outside of the first corner at the start of lap two, with Chilton having to wait a further lap to make a similar move. The Briton chipped away at the gap to the leader over the next couple of laps, but found significant time on lap six to close to within a second of Bennani for the first time. 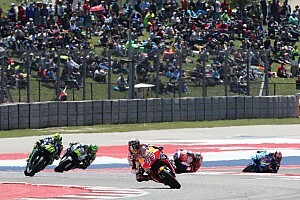 By the start of lap eight, he was on his teammate's bumper over the line. Chilton attempted to cut back inside Bennani off the first corner but couldn't make a move stick after hanging his Citroen around the outside for a couple of corners. 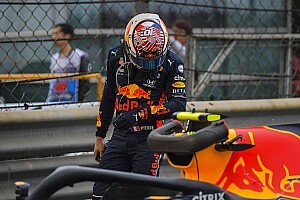 But Chilton stuck at it and nosed his way up the inside into the sequence of right handers at Turns 12, 13 and 14 and eventually forced Bennani out of the way to grab his third victory of the season. As a result, Chilton now has a lead of 1.5 points in the Independents' Trophy over Bennani. 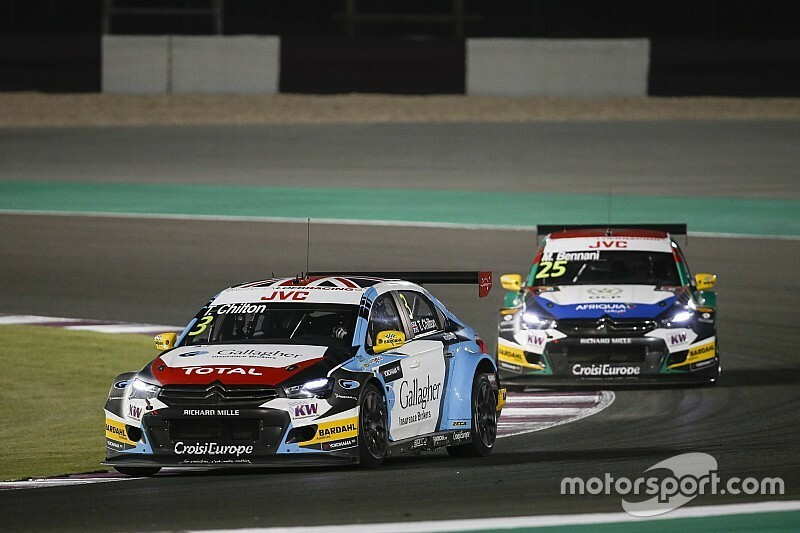 Gleason completed the podium - his first since joining the WTCC ranks - some way back in his RC Motorsport Lada, with the third SLR Citroen of John Filippi fourth and points leader Bjork fifth. Bjork looked as though he had the pace to pass the pair ahead in his Volvo S60 but sat comfortably in their wake with teammate Yvan Muller protecting him from behind. He now has a 16.5-point lead heading into the season finale over Honda's Norbert Michelisz, with 30 on offer in the season finale. Michelisz made up ground from 11th on the grid after a brake issue in qualifying, but had limited opportunities to pass the third Volvo of Nicky Catsburg. 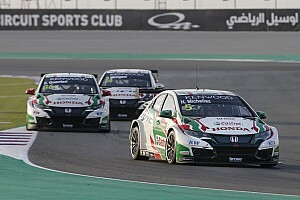 Fellow Honda driver Esteban Guerrieri was allowed a couple of laps to attempt to pass Catsburg and help Michelisz through, but handed ninth back to his championship challenging teammate after failing to mount an attack. Michelisz crossed the line 0.289s behind Catsburg, who in turn was within a second of seventh place finisher Rob Huff (Munnich Citroen). Bjork needs only to maintain his starting position of fourth in Friday evening's main race to secure the drivers' crown.